Olympic 400m champion Shaunae Miller-Uibo will make her 300 meters debut at the Golden Spike, an IAAF World Challenge Meeting, on June 20. The 24-year-old Bahamian will be making her outdoor debut over the rarely-run distance and has been installed as one of the favorites for the race. 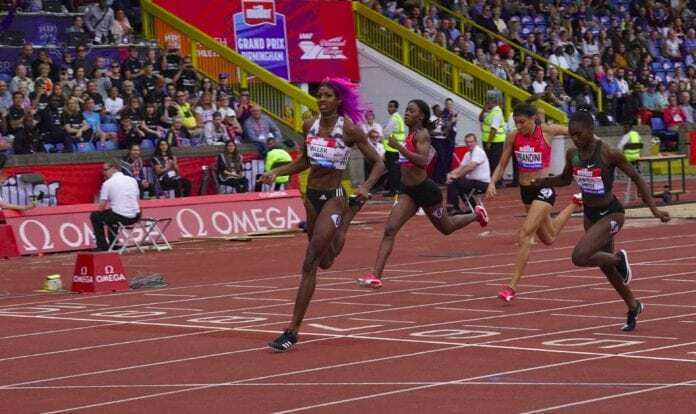 Miller-Uibo equaled the World indoor best over the 300 last year in New York, clocking 35.45 seconds to add to a long list of achievements at standard distances which include 2016 Olympic 400 gold, 2017 world bronze and 2018 Commonwealth gold at 200m, among many others. Her performance over the 300 trails only the outdoor world best of 35.30 secs, set by Ana Guevara of Mexico 16 years ago on home soil. The meet in the eastern Czech city is building a reputation for hosting fast 300 races – Usain Bolt made his only appearance over the distance, clocking 30.97 in 2010 and Wayde van Niekerk set the current world best of 30.81 at the 2017 edition. This year will mark the first time women will run the event with Miller-Uibo set to face Justyna Swiety-Ersetic, the European 400 champion, who is from the nearby Polish city of Raciborz.